And occasionally, I'm greeted with special effects lighting or great works of art. In the tunnels between the terminals. At DTW (Detroit) and ORD (Chicago-O'Hare), it's a combination of the two. A consolation token for my short time spent in great cities trapped in their less great airports. And there is a soundtrack in my ears. And thus, I never walk alone on the path across America. 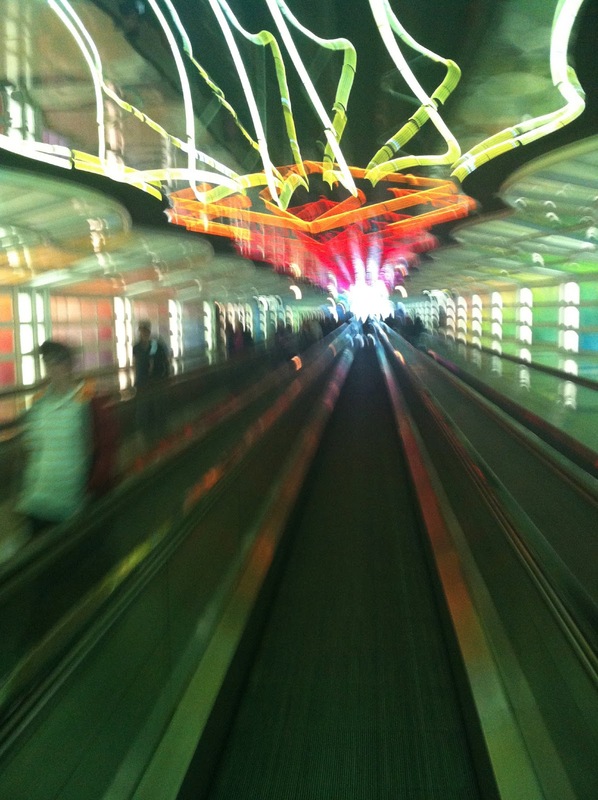 Playlist of the Week: Airport Commuter 8 from RobRobRiot on 8tracks Radio.